(Host) Burlington voters are giving a Democrat the opportunity to lead Vermont’s largest city for the first time in three decades. 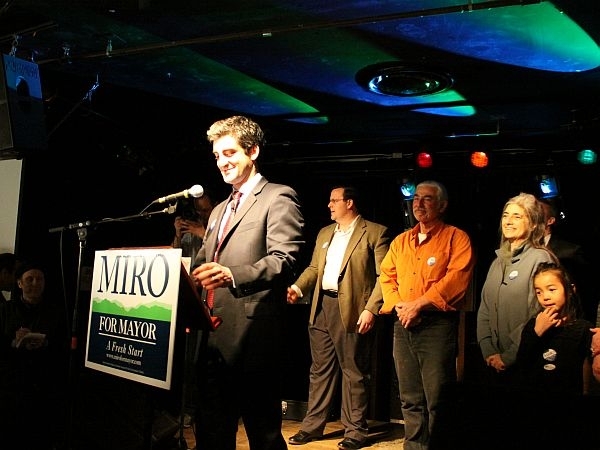 As VPR’s Kirk Carapezza reports, Miro Weinberger’s victory stemmed from his ability to convince voters that he can restore the city’s fiscal stability. (Weinberger) "Burlington voters have spoken loud and they have spoken clear." (Carapezza) Speaking to supporters at a downtown bar, Weinberger gave credit to his most passionate supporters for his victory, and he called for unity. (Weinberger) "Let’s come together now, tonight as one community and begin the hard work of providing a fresh start for this city." (Carapezza) Weinberger beat his chief opponent, Republican City Councilor Kurt Wright, earning 57 percent of the vote compared to Wright’s 37 percent. Independent Wanda Hines took just 5 percent of the vote, and she was not a factor in the race. (Wright) "We gave it our best shot and it just wasn’t meant to be." (Carapezza) A visibly emotional Kurt Wright was gracious in defeat. He thanked his supporters and congratulated Weinberger. (Wright) "A Republican in Burlington facing an opponent who’s unknown and has no record and is running on a fresh start, there’s nothing negative you can point to." (Carapezza) Wright lost this race – his third attempt at the mayor’s seat – partly because he failed to garner enough support in the city’s most conservative neighborhoods. Outside a polling station in Wright’s neighborhood, voter Wendy Young says she found both Wright and Weinberger appealing, but she ultimately decided to vote for the Democrat. (Young) "Somebody that’s gonna really bring Burlington forward – development-wise, Burlington Telecom, all the issues. I’d like to see more going on in Burlington." 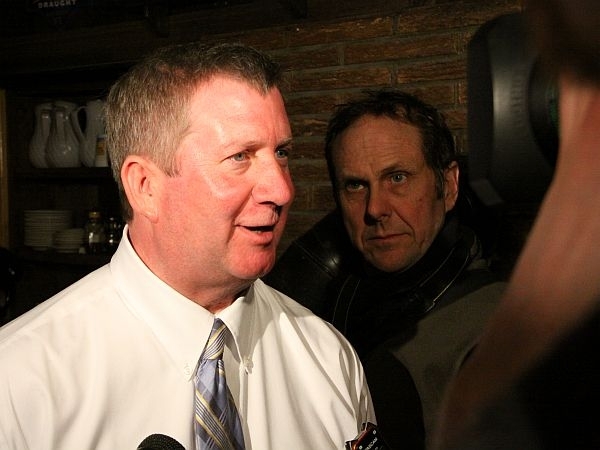 (Carapezza) Weinberger is the first Democratic mayor in Burlington since 1981. That’s when independent Bernie Sanders defeated a Democrat by ten votes and inspired Burlington’s Progressive Party. With Burlington facing millions in debt, embattled Progressive Mayor Bob Kiss decided against seeking reelection. Democrats saw that as an opportunity for them to retake City Hall for the first time in 31 years. On Town Meeting Day, they did. For VPR’s News, I’m Kirk Carapezza. An investigation is under way into reports of damage to the Burlington city-owned Memorial Auditorium following a weekend party. And at least 16 party-goers were cited by police on allegations of alcohol-related violations. Burlington Mayor Miro Weinberger is calling for immediate changes to the way the city reviews requests to use city-owned property.